Another Halloween has come and gone. Candy has been handed out and eaten, costumes have been put away. If you and your family carved up pumpkins for Jack O’ Lanterns, you might be trying to decide what to do with the pumpkins before they rot. 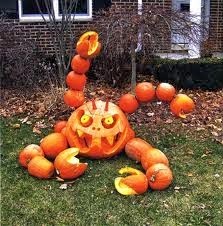 If you are thinking about throwing them out, consider this: Those old pumpkins could be put to good use in your yard. Use it in a compost: Those old Jack O’ Lanterns can make great fertilizer when composted. Remove all the seeds. Remove all decorations that will not compost, things like decorations and candle wax. Place the pumpkin on some discarded leaves or other plant trimmings. Throw more leaves onto the top of the pumpkin. The pumpkin will eventually break down. 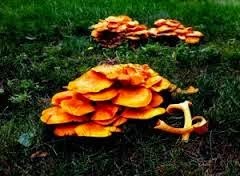 Bury the pumpkin in your yard: Pick a spot. 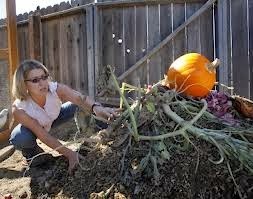 After you bury the pumpkin, it will break down quickly and enrich your soil. Save Those Seeds: Keep the seeds from this year’s Jack O’ Lantern to use for next year’s crop. Remove the pulp and the seeds from the pumpkin. Place the seeds in a colander and run them under water. Clear off the pulp from the seeds. Pick a collection of the biggest seeds. Put them on a dry paper towel then move the seeds to a cool, dry place. Your refrigerator is a great spot to store those pumpkin seeds. Keep the seeds dry and store them in a container in the rear of your refrigerator. Pumpkin seeds need to be planted during warmer weather. If you live in a winter region, keep your seeds stored until later in the spring. Pumpkins generally need between 75 and 100 frost-free days to grow properly. Pumpkins are also very thirsty plants. They will need lots of water. Be prepared to water your pumpkin plants every week, giving them one inch of water. If you do decide to pitch the pumpkin, don’t wait too long. A rotting pumpkin can leave stains on your front step or patio and also cause mold problems.